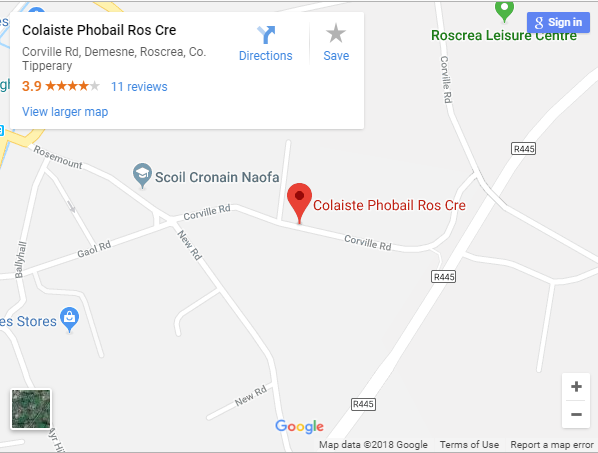 Coláiste Phobal Ros Cré is proud to fly no less than three Green Flags, having made environmental awareness and action an intrinsic part of the life and ethos of the school. 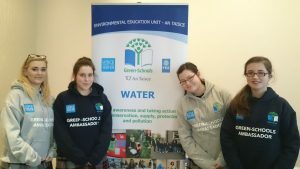 The school first established a Green Schools Committee comprising of Parents, Staff, Students and Caretakers in September, 2008 and has been working tirelessly since then, to achieve its Green Flag status. 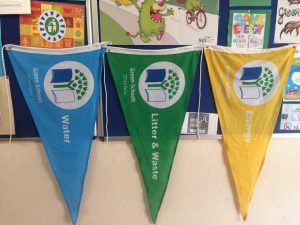 The first Green Flag secured was reward for our focus on Litter and Waste issues, encouraging a sense of student responsibility within the school and beyond. The school slogan for this theme was ‘Beauty dies where litter lies’. The second Green Flag won was for the giant steps taken in the school to reduce Energy consumption. The slogan for the focus on this theme was ‘Switch off at the socket and save in your pocket’. The third flag was awarded as a result of the enormous efforts made to develop awareness around Water conservation and effective management of this most important resource in the school. The inventive slogan on this occasion was ‘Do your part, be water smart’. The Green Schools committee is currently working towards a fourth Green Flag, on the theme of Travel and our slogan is ‘Cycle, car-pool and walk to school, instead of burning fossil fuels’. The slogans for each theme come from a competition run in the school. We are always impressed when students create such catchy slogans that are easily remembered. 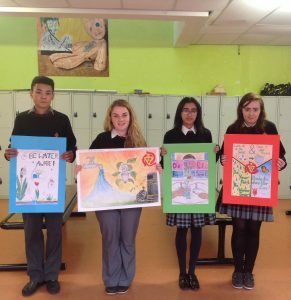 The students are empowered and have shown huge levels of enthusiasm and imagination in creating slogans and posters and other material, in order to highlight issues of environmental concern within the school and beyond. The initiative continues to promote long term environmental planning and encourages ambitious yet achievable actions to protect the environment. Students can see the practical, financial and health benefits of their conservation efforts and are encouraged to build their confidence and their sense of citizenship through participation. The committee are as passionate and committed to the concepts of sustainability and conservation as they were in 2008 when this journey first began. They are determined to implement and advertise good practice in order to gain further Flags while continuing to work tirelessly, to retain the Flags deservedly won to date.